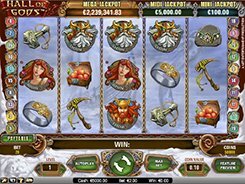 Tales Of Krakow is a 5-reel 30-payline slot themed around Polish legends and fairy tales. 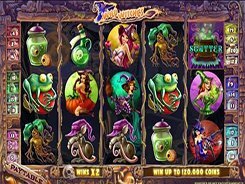 On the reels you will come across folkloric fantasy characters from Polish short stories and legends, as well as traditional poker cards from 10 to Ace. 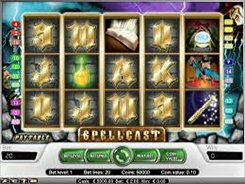 You can customize your bet parameters by changing a coin value ($0.01 to $0.5), the number of coins (1 to 4) and the number of active paylines, so the minimum and maximum bets in the game are $0.01 and $60 respectively. The Dragon represents a wild icon that helps create winning combos by substituting for missing symbols. 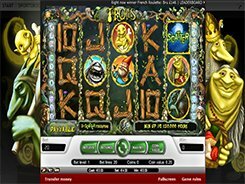 Five wilds landed on an active payline award the slot’s largest prize worth $15,000. 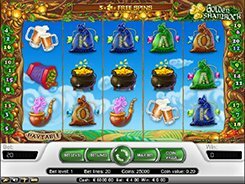 A scatter symbol is depicted by the King, with three of them unlocking 12 free spins with all wins tripled. There is also a bonus feature activated by three or more Dragon symbols. If this happens, you will be taken to the second screen that shows a cave with dragon’s eggs inside. Your task is to keep picking them until you find an empty egg that ends the feature. 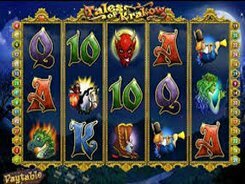 Overall, Tales of Krakow will appeal to a wide range of players, especially low to mid rollers.